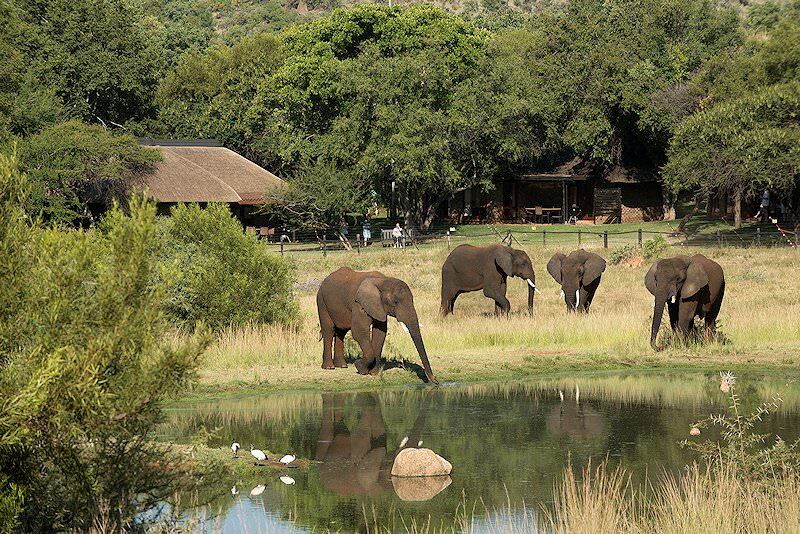 Bakubung in the Pilanesberg is the perfect choice for a family safari in South Africa. 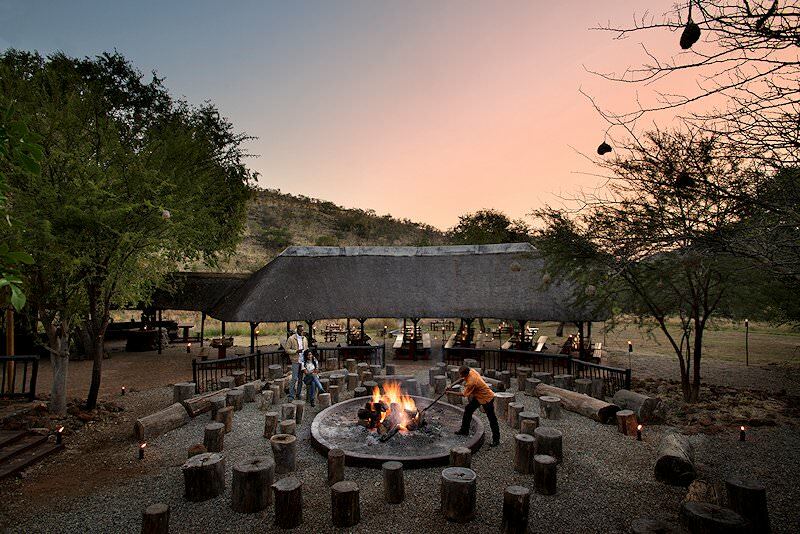 Bakubung Bush Lodge is located in the southern section of the Pilanesberg National Park. The park is around 55 000 hectares in extent. It is home to the Big Five as well as a large variety of other mammal species. More than 360 species of bird can be spotted in Pilanesberg. This national park has the advantage of being located in an area that is malaria-free, which is ideal for a family-oriented South African safari. 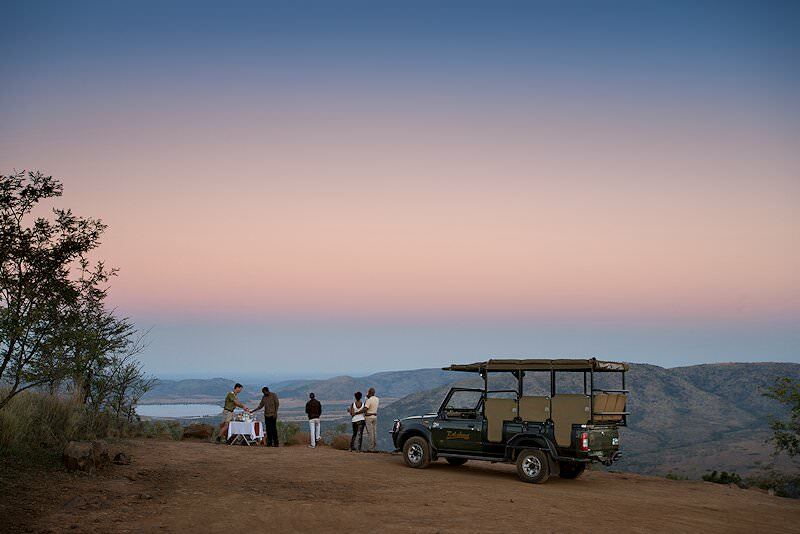 Bakubung Lodge offers early morning and late afternoon game drives accompanied by skilled local rangers. These game drives provide exciting game viewing opportunities on terrains that range from relatively open savanna to densely wooded ravines. Guests are accommodated in air-conditioned rooms under traditional thatched roofs. The lodge's facilities include a swimming pool, flood-lit tennis courts, volleyball, outdoor chess and an adventure playground for children. 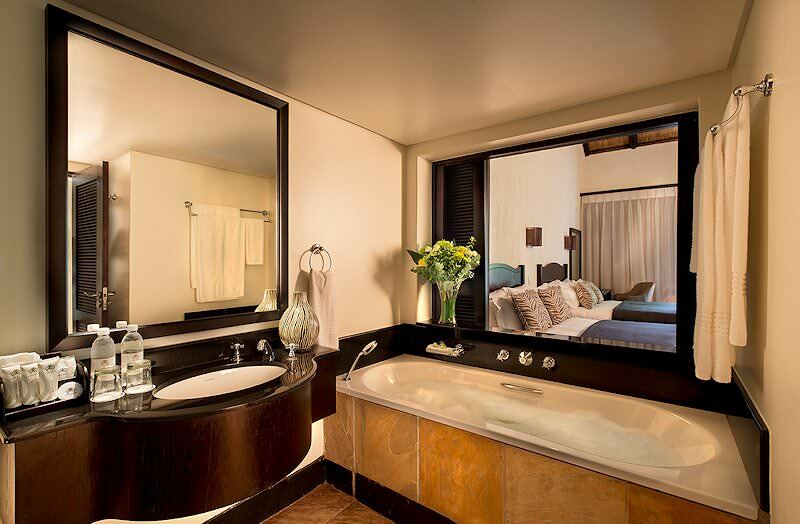 Each room is equipped with every amenity to ensure a comfortable stay. These include satellite television, a direct dial phone and coffee/tea facilities. 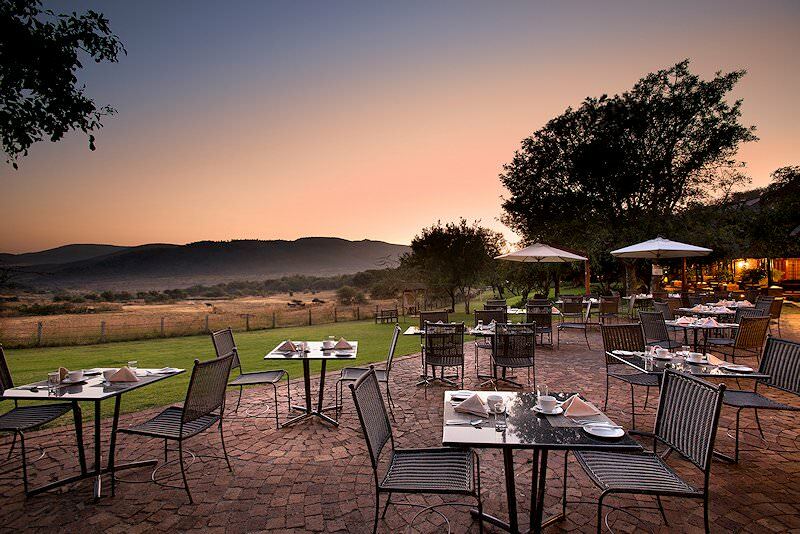 Fine dining may be enjoyed at the restaurant or a light meal on the terrace overlooking the reserve. The Thutlwa Pool Bar offers the perfect view for enjoying an African sunset with a signature cocktail in hand. Parents with young children will be delighted that they can leave their little ones in the safe care of an excellent babysitting service. 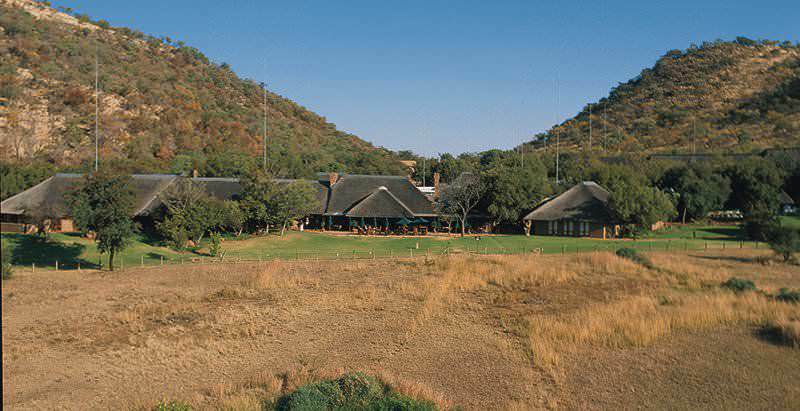 Additional facilities at Bakubung Bush Lodge include a curio shop and wildlife presentations. The Sun City Resort is less than half an hour's drive away. 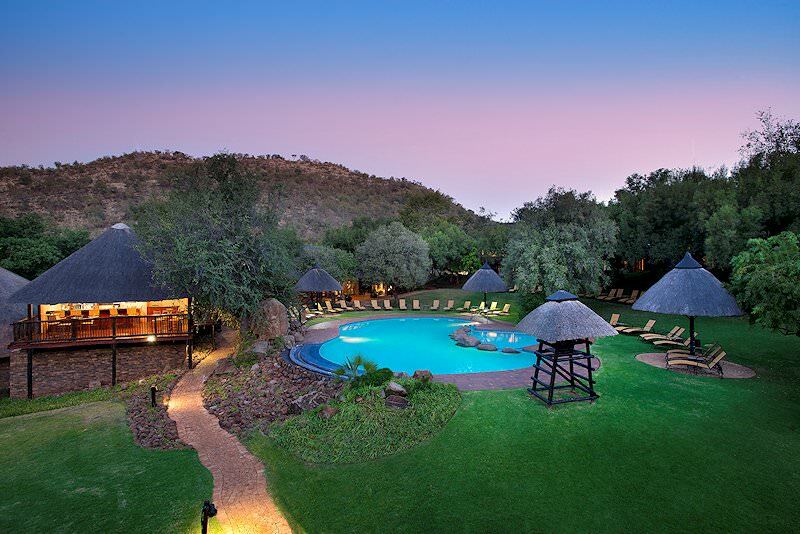 After arriving at Johannesburg's O R Tambo International Airport, guests are transferred to Bakubung Bush Lodge in the Pilanesberg Game Reserve. 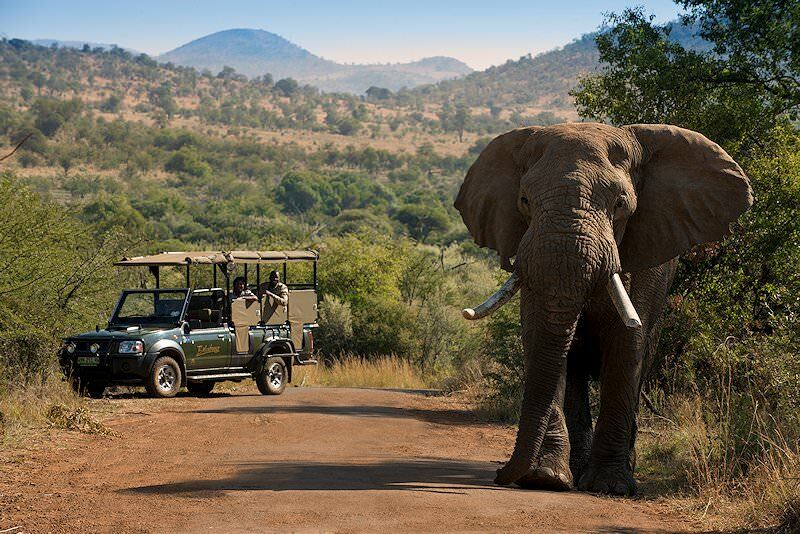 Game drives are conducted daily in this Big Five-flushed reserve. 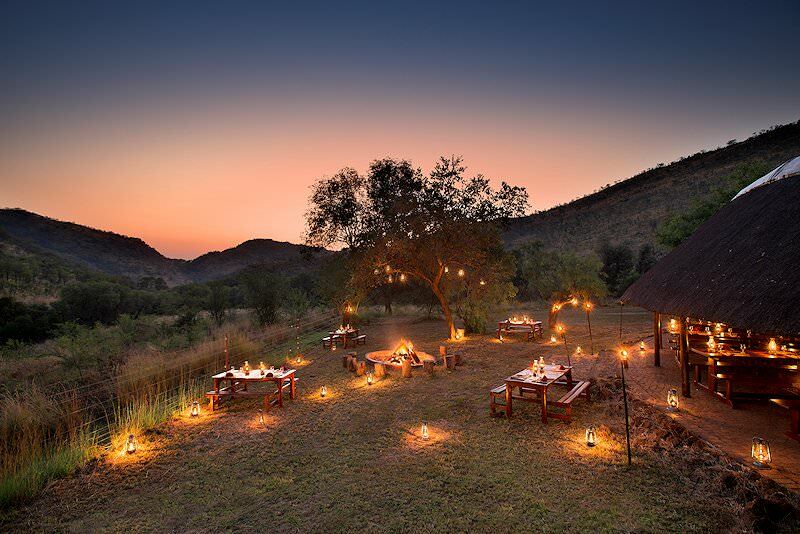 Fireside dining serves romantic evenings in the heart of the African wilderness. Alternatively, entertain yourself and keep fit with the lodge's tennis and volleyball facilities. This safari package caters for visitors of all fancies. 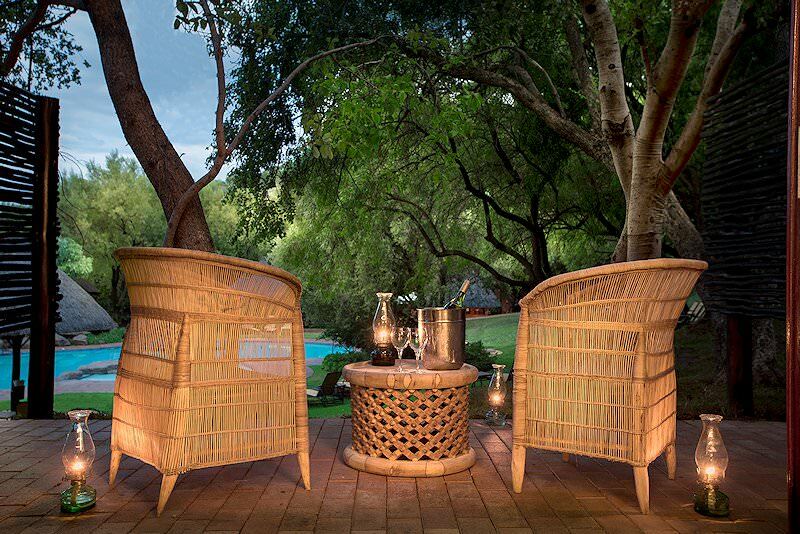 From a cocktail enjoyed by the cool surface of the pool to the soft seam of a daybed in the Noko Kalahari Spa, the lodge provides an assortment of relaxation opportunities. Guests enjoying their Pilanesberg safari may also make use of the daily transfers to the nearby Sun City Resort and Casino, which offers a variety of activities, from golf and gambling to the super slides of the popular Valley of the Waves waterpark. Bakubung is not a true safari lodge, but more a hotel built in a wilderness area. The lodge can accommodate a large number of people. It does, however, offer good safaris at a reasonable price, not too far from the cities of Johannesburg and Pretoria. 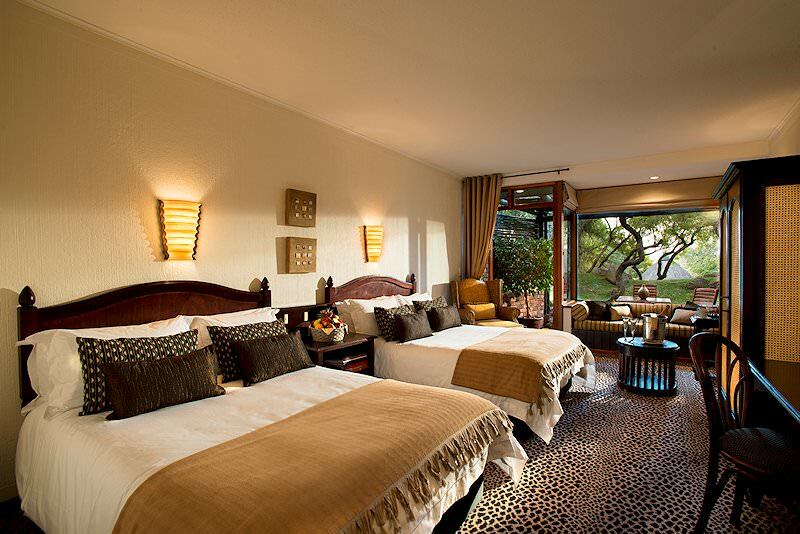 It could be ideal for a short safari or if you would like to combine a safari in South Africa with a visit to Sun City. 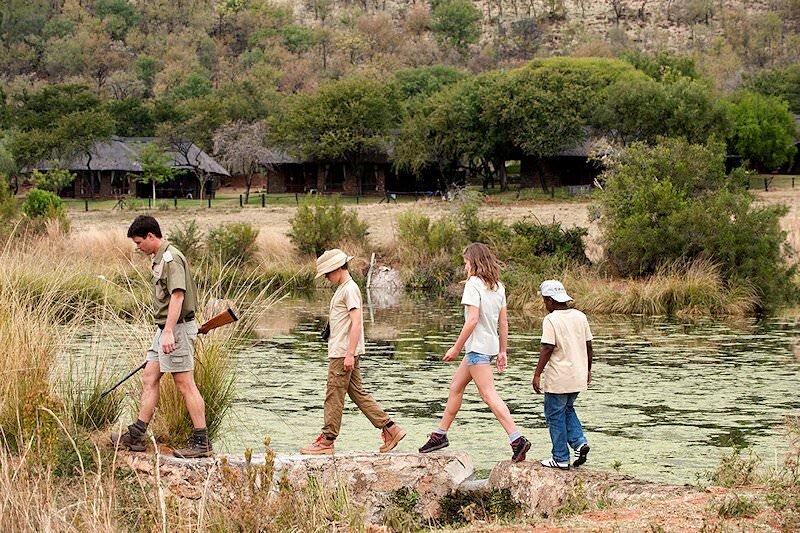 I would suggest looking at Tshukudu for a more authentic safari in the Pilanesberg National Park. Travel to South Africa for a family safari in a malaria-free reserve or national park. Botswana is a paradise for safari enthusiasts, boasting ample wildlife. Namibia offers exhilarating desert-oriented safari experiences. Zambia is often overlooked as a safari destination, but offers prolific game viewing. Zimbabwe is sought-after for its dramatic views of the Victoria Falls. Mozambique's beaches and islands are the stuff of African vacation dreams. Our Kruger Park safaris are our most popular safari itineraries, appealing to a wide variety of travelers and budgets. 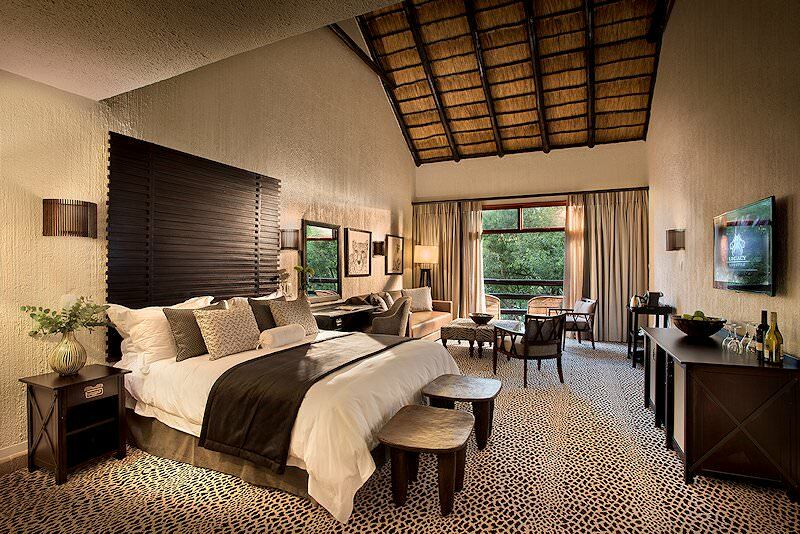 Our luxury safaris are characterized by plush accommodations, wild settings and premium game viewing opportunities. The Big Five are the continent's most striking mammals, including the elephant, leopard, lion, buffalo and black rhino. The African lodges we use in our safaris have been hand-picked for their stunning locations and high levels of service.